Lucknow, April 17 (IANS) A case has been lodged against Guddu Pandit, a.k.a. Bhagwan Sharma, the BSP candidate from Fatehpur Sikri after he used abusive language against Congress candidate Raj Babbar. This case was lodged against Guddu Pandit at the Achhnera police station. Five cases were earlier registered against him at different police stations for misbehaviour and alleged violation of the model code of coduct. N.G. Ravi Kumar, Agra district magistrate and returning officer, told reporters on Wednesday that he had written a letter to the Election Commission seeking action against the BSP candidate because he was regularly violating the poll code. Guddu Pandit was seen on TV channels on Monday abusing the Congress candidate and threatening to beat him up with shoes. Fatehpur Sikri will go to polls on Thursday. 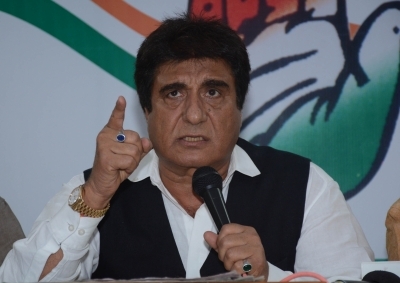 Raj Babbar is contesting as Congress candidate while the BJP has fielded Raj Kumar Chahar.